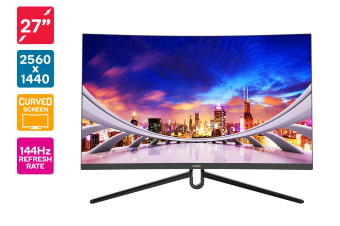 Hit the resolution sweet-spot with this next-level 27” QHD FreeSync gaming monitor that eliminates tearing, delivers deliciously smooth gameplay and doesn’t compromise on colour for speed. Maximise your competitive edge with the Kogan 27” Curved QHD 144Hz FreeSync Gaming Monitor (2560 × 1440). 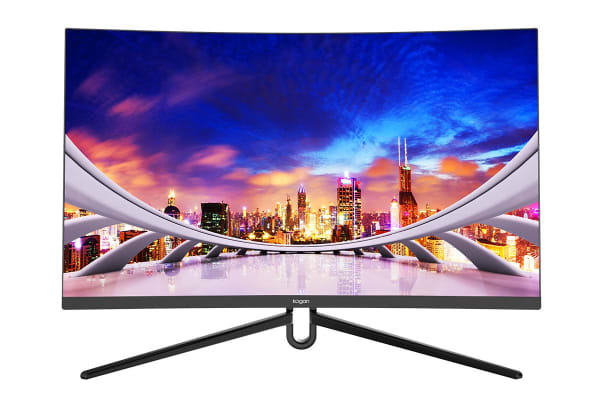 Reach a new level of gaming with this curved QHD monitor that reduces wear and tear on your eyes and offers a focused field of view with a legendary 99% SRGB colour gamut and pixel-count, 2560 × 1440 resolution, for high-speed quests and clearer, crisper textures. FreeSync eliminates tearing and reduces stuttering so you can scope out the enemy, while the blistering-fast 5ms response times and 144Hz refresh rates means you won’t be caught out by lag anytime soon – fire away! 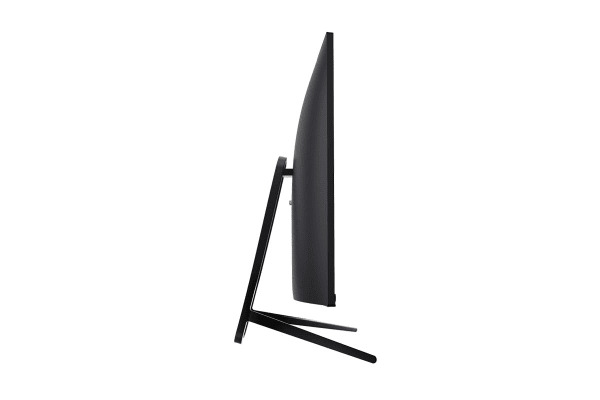 Featuring a Samsung Panel, this monitor is perfect for creative professionals who game hard and work harder, with two HDMI ports and stunning picture quality to view files and documents in superb clarity. Speeds up the frames per second to deliver ultra-smooth motion scenes. Delivers 99% colour space and gamut coverage. Play games in greater colour and never worry about inconsistent rendering. Four times the resolution of HD, WQHD allows you to have more content displayed at once, maximising productivity. FreeSync supports a dynamic refresh rate and reduces distorted gameplay and broken frames for a fluid, lag-free performance.